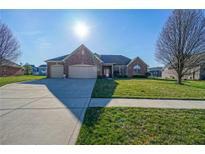 Below you can view all the homes for sale in the Glen Ridge Estates subdivision located in Indianapolis Indiana. Listings in Glen Ridge Estates are updated daily from data we receive from the Indianapolis multiple listing service. To learn more about any of these homes or to receive custom notifications when a new property is listed for sale in Glen Ridge Estates, give us a call at 317-434-3867. This home is full brick with hardy plank siding, and includes washer and dryer. Great schools/shopping. Meticulously maintained! MLS#21630050. Ragan Realty LLC. 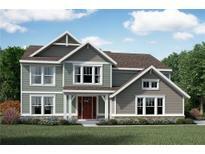 Gorgeous new Blair Western Craftsman plan by Fischer Homes in beautiful Glen Ridge Estates from Fischer Homes. MLS#21622768. HMS Real Estate, LLC. Laundry room & master share a private level w/luxury bathroom 3 Additional bedrooms & 2 Additional baths. 3 car garage. MLS#21622226. HMS Real Estate, LLC. Check out this home on the quiet cul de sac minutes from downtown. MLS#21618772. Keller Williams Indy Metro NE. All Bedrooms Have Walk-in Closets W/ Tons Of Shelving. Too Many Upgrades To List. MLS#21613419. Hoosier, REALTORS®. Finished basement offers 2 bonus rooms, one for watching your favorite movies & sports & the other for games & crafts, and a large storage area for just about everything else. MLS#21604113. Northbridge Realty, LLC. Full unfinished basement and a 3 bay garage. MLS#21599658. HMS Real Estate, LLC. 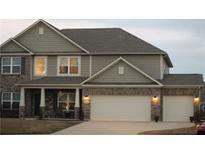 Full unfinished basement and a 3 bay garage with opener and keyless entry system. MLS#21571725. HMS Real Estate, LLC.